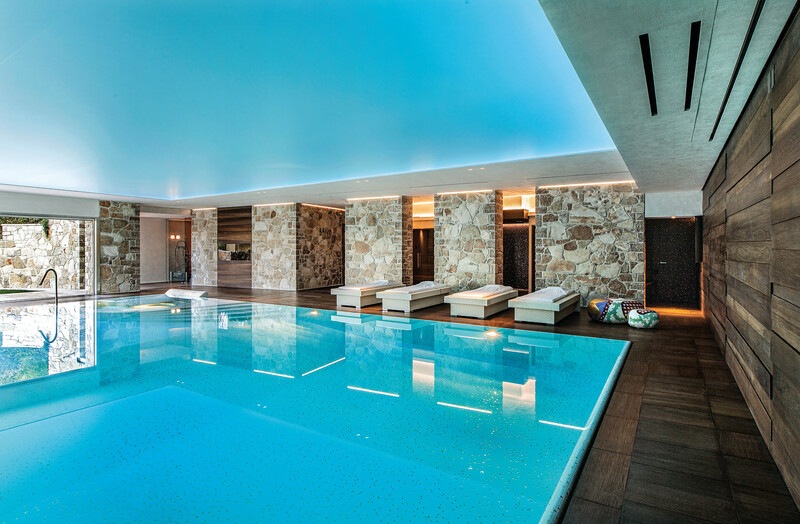 The breathtaking interior of this private home’s Wellness Area is enhanced with glittering gold mosaic in the pool. Bringing a sense of purity and lightness, a clean white mosaic tile from the Vetricolor range (VTC 10.10) lines the pool from edge to edge. Placed in a scattered pattern effect, Bisazza gold mosaic creates a glittering, ostentatious touch of luxury. 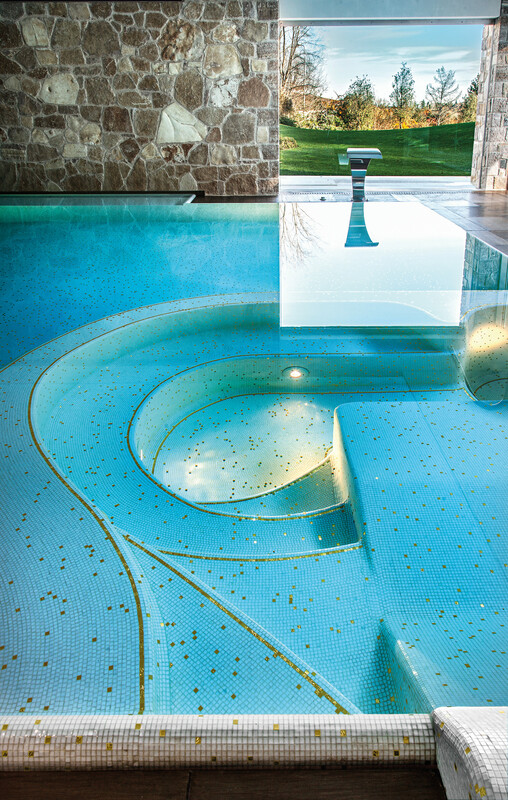 The gold mosaic (ORO B 10.2) is also use to provide some exquisite detailing on the underwater steps. Every ORO B mosaic piece is created using traditionally crafted 24K gold leaf which gives the tiles their spectacular shimmer and sparkle. Placed in a scattered pattern effect, Bisazza gold mosaic creates a glittering, ostentatious touch of luxury. The breathtaking interior of this private home’s Wellness Area is enhanced with gold mosaic in the pool.